What is a G 325 a form? A G 325 a form is a supplement form that an alien must complete with many other immigration documents. The purpose of the G 253 a form is to create a biographical history of the individual seeking a green card or visa. The information is used by the USCIS to conduct background searches and confirm that the alien is who he/she says they are. What immigration forms require a G 325 a form? A G 325 a form must accompany an N-400 Naturalization form; a fiancée visa, a family based green card and an I-485 form. An N-400 form is an application for U.S. citizenship. Individuals who may apply for this application include lawful permanent residents who have resided in the United States for at least 5 years and are at least 18 years old; a lawful permanent resident who has resided in the United States for at least 3 years and are at least 18 years old and have been married to and living with the same U.S. citizen for the last 3 years and the spouse has been a U.S. citizen for at least 3 years; or a permanent resident in the United States who has served in the U.S. Armed Forces and filing for naturalization while in the service or within 6 months of termination of service. The K-1 nonimmigrant visa is for a foreign-citizen fiancée of a United States citizen. The successful completion and approval of the form permits a foreign born fiancée to enter into the United States to marry a U.S. citizen within 90 days of arrival in the United States. A family based green card is a way to conduct family based immigration. In order to meet eligibility requirement for a family based green card an individual will need to file an I-130 petition for Alien Relative. In conjunction with the completion of the petition the individual sponsoring the alien relative must show proof of legal status that is either U.S. citizenship or permanent residency; as well as proof of the family relationship. The family based green card applies to all closely related relatives including brothers, sisters, parents, children and adoptive individuals. In addition, it is required that the sponsor show proof that he/she is capable of supporting the family members. The USCIS will require financial documentation as proof that the alien will not become a burden on society. 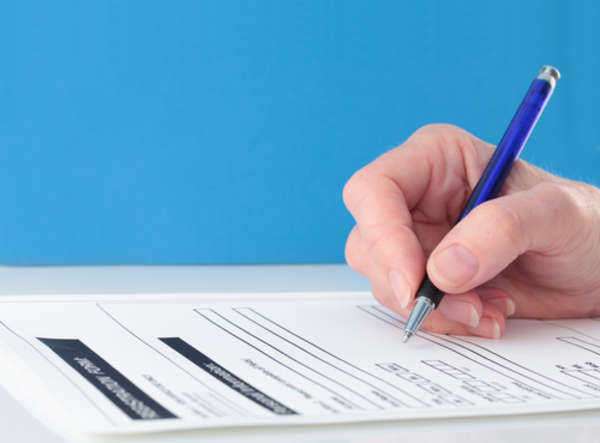 This form is called an I-864 form, or Affidavit of Support. What is an I-485 form? An I-485 form is also known as an application to register permanent residence or adjust status. This form often coincides with an I-140 form (immigrant petition for alien worker) which is filled out by an individual's future employer. This is considered to be the second step in achieving green card status. Its purpose is to insure that the employer is financially capable of paying the alien's salary while he/she is working within the United States. Line 4: Information about the alien's spouse including name, date of birth, nationality, etc. Line 5: Information about the alien's former spouses including name, date of birth nationality, etc. Line 6: The alien's residence over the past 5 years. -This information should be listed in reverse chronological order with the most recent address listed first. Line 7: The alien's last address maintained outside the United States for more than one year. Line 8: Alien's employment over the last 5 years. or unemployed it is important that this information is mentioned even if the work was illegal. Line 9: Alien's last employment outside the United States. What is some of the information I supply in the form is incorrect? It is not essential that every piece of information, such as exact addresses of former employers, but certain information must be accurate and the more discrepancies there are the more likely that an application will be denied. Where can I find a G 325 a form? One can receive a G 325 a form by downloading the documents straight from the U.S. Citizenship and Immigration Services website located at www.uscis.gov. You can also pick up a form, and all other documentation you may need by going directly to your local USCIS office.